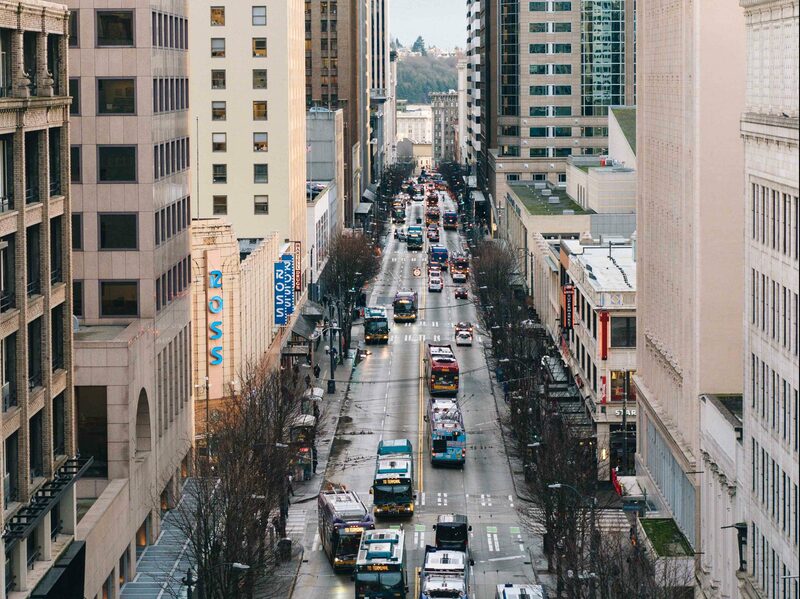 Third Avenue is one of the busiest transit corridors in the country and serves as a front door to downtown Seattle. It faces many challenges, however, from public safety concerns and bus congestion to limited sidewalk space, inadequate retail options and a general lack of stewardship. That’s why, over the past two years, DSA led a group of nearly 70 business and property owners, residents, government staff and other stakeholders to develop a long-term vision for the future of Third Avenue. DSA hired consultants ZGF Architects, Fehr & Peers and ELS to provide expertise on solutions for urban design, transportation, retail, parks and management. During the process, DSA studied how peer cities around the nation adapted their bus streets into efficient and welcoming transit facilities. Cities like Denver, CO; Vancouver, B.C. ; and Minneapolis, MN; launched civic planning efforts to revitalize and balance the needs of transit, pedestrians and retailers. This work will culminate with the release of the Third Avenue Vision, which proposes four future transportation options converting Third Avenue to a two- or three-lane transitway optimizing bus volumes and maximizing ridership. The result expands sidewalk space for pedestrians and allows businesses to offer sidewalk cafes, window shopping and pleasant dining experiences. The plan will also lay out strategies to improve retail, parks and public spaces. With a unified vision, we can ensure individual investments support the common goal of a high-quality pedestrian and transit experience. For more information, contact DSA’s Jacqueline Gruber at jacquelineg@downtownseattle.org.